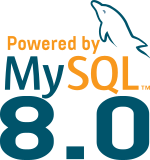 Note that mysql1, mysql2 and mysql3 are the 3 nodes that will be used for the MySQL Router Cluster. Now we can add the resource that will manage MySQL Router in our pacemaker cluster. We will use systemd. We can see that the cluster does its job and that MySQL Router even if moved out of the application server is not anymore a single point of failure ! Should you not set start/stop and promote/demote serialization. I set this up using your article with these added ordering constraints, and this looks like a solid solution not only for mysqlrouter single point of failure issues (with innodb cluster) but also when used with a single instance master master setup to enforce no concurrent writes. I have been using this setup over the past month and am considering using it outside of innodb clusters too for handling simple GEO DR scenarios between master masters since the VIP will enforce single writes at all times.